Photo courtesy of Meredith Miller Elliott. Among Meredith Miller Elliott’s many talents are making connections with people—and making a mean Cubano sandwich. When the wildfires started raging in Northern California in October, Elliott, a personal chef and sommelier who lives in Petaluma, knew she had to help; she launched a volunteer effort that became known as #SandwichAngels. So Elliott got to work on her first batch, smoking 40 pounds of pork shoulder in her home kitchen and getting bread from Della Fattoria bakery in Petaluma. She began networking with disaster response officials about where to deliver her Cubanos, and she soon had a request from the Sonoma County emergency operations center for 250 meals—within an hour. Soon thereafter, her contact at the bakery called with a request. 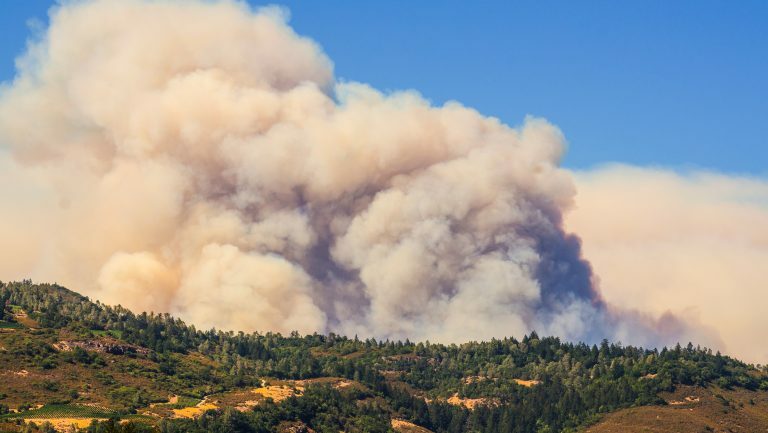 They had bread for more sandwiches and access to the Petaluma Municipal Airport, which served as the helibase (for helicopters), where firefighters and emergency personnel would congregate after exhausting shifts battling the blazes—but they needed ingredients to make the sandwiches. Elliott agreed, got to work making the sandwiches, and drove over with a car full of them. 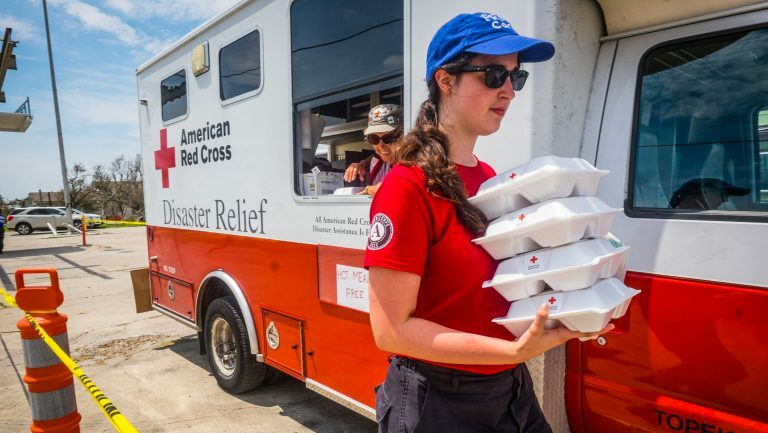 It’s important to note that during a disaster like the wildfires, firefighters and other frontline personnel are always provided food at emergency operations centers, often through mobile kitchens. But Elliott’s cooking, which made use of a bounty of donations from the culinary mecca of Northern California, took the idea of emergency meals to a whole new level, according to the lucky recipients. Elliott knew that as the fires continued to blaze, she needed support to keep churning out those high-quality meals. And that’s where her industry connections came in—she reached out to friends and contacts in Northern California and beyond, for food donations, to get more hands in the kitchen, and for help in delivering food. Her wine industry friends came through, too—providing “hydration” to her team of volunteers, as she wrote in one blog post on the Sandwich Angels site. 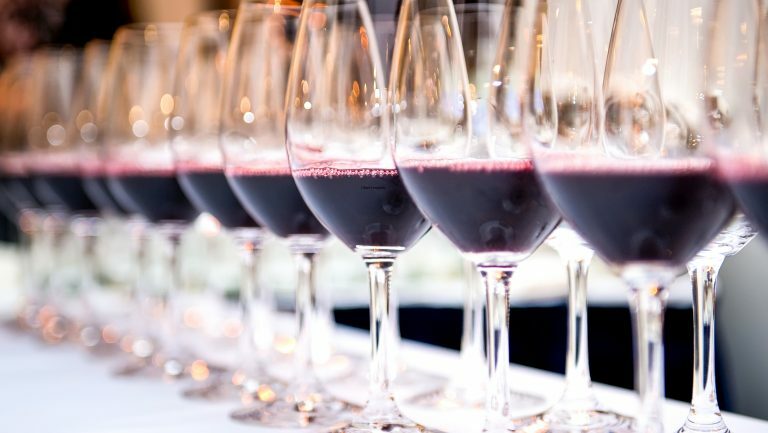 “On any given day, there were some of the most well-known names in the wine industry in the Bay Area, including sommeliers and winemakers, volunteering,” Elliott says. Rebecca Gouveia, cofounder of Feast It Forward, a Napa-based food-and-wine-focused lifestyle brand with a mostly online network of culinary shows that also has a philanthropic arm, was one of the chief people to volunteer. Elliott refers to Gouveia as her “sister wife” because of how close they became during the volunteer effort. Massimiliano Conti, the chef-owner of La Ciccia, a popular Sardinian restaurant in San Francisco, was another. “He brought his whole staff,” says Elliott, “and there was Italian being spoken and corks popping in the kitchen.” She was also fortunate to have on board a longtime friend from her Blackbird days in Chicago, the James Beard Award–winning chef Koren Grieveson. After a particularly difficult day, Elliott called Grieveson in Los Alamos, California, where she is currently living. Elliott helped her arrange a flight soon thereafter, and she was in the kitchen with Elliott within a few days. Besides gathering colleagues to her side, Elliott tapped into her extensive culinary background to power her through the laborious days of nonstop cooking. A Midwest native, she trained at Le Cordon Bleu College of Culinary Arts in Chicago and spent several years in the wine industry in Europe, where she worked with the renowned Italian winemaker Elisabetta Foradori in the Trentino-Alto Adige region. In 2012 she moved to Northern California, where she currently works as a caterer and personal chef. 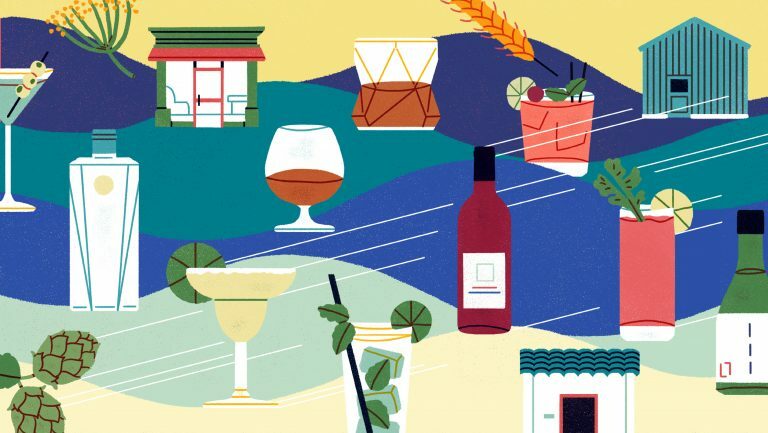 She’s also worked on the teams that organized luxury food and wine festivals like Pebble Beach Food & Wine and the Food & Wine Classic in Aspen, Colorado. But most impressive of all: Elliott did all of this in between chemotherapy treatments for breast cancer, which she was diagnosed with in October 2017. Her doctors and loved ones kept a close eye on her throughout the emergency, urging her to slow down and take care of herself. 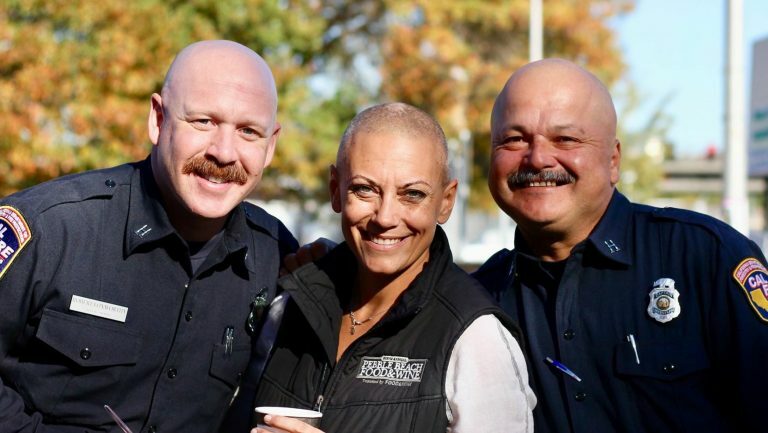 But Elliott says that what really kept her going were the connections she made with some of the nearly 5,000 firefighters battling the blazes on the front lines, who honored her afterward with a BBQ dinner and a handmade poster decorated with messages of thanks and their units’ shields. “When I started sitting down with them and really learning about what they do—I’m in tears now thinking about it,” she says. “Every time I’d show up, there was nothing but positivity and graciousness. 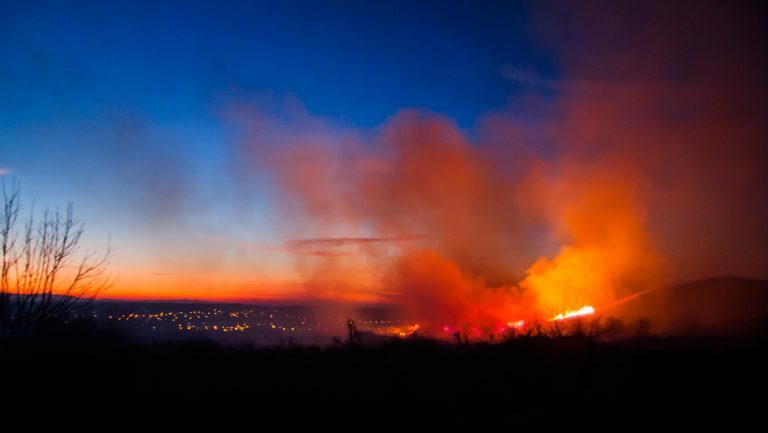 And while Elliott is committed to that ongoing effort, she’s also keeping an eye on Southern California, where a new outbreak of wildfires has scorched more than 240,000 acres and displaced about 94,000 people. At the time of publication, she had plans to contact culinary industry friends in the Los Angeles area to see where she could funnel some of her donations. It comes as no surprise to those who have seen what she can do.